Shiatsu is about touch, meeting and connecting with another person through human contact. Recieving a treatment gives your body the space to unwind and re-balance mentally and emotionally as well as physically. Shiatsu is a traditional hands-on japanese therapy, which treats deep into the muscles, joints and energy of the body. It uses the chinese energy meridian system and works with specific acupressure points and the bodys energetic pathways. Shiatsu is a physical therapy that supports and strengthens the bodys natural ability to heal and balance itself. It works on the whole person not just as a physical body, but also as a pyschological, emotional and spiritual being. 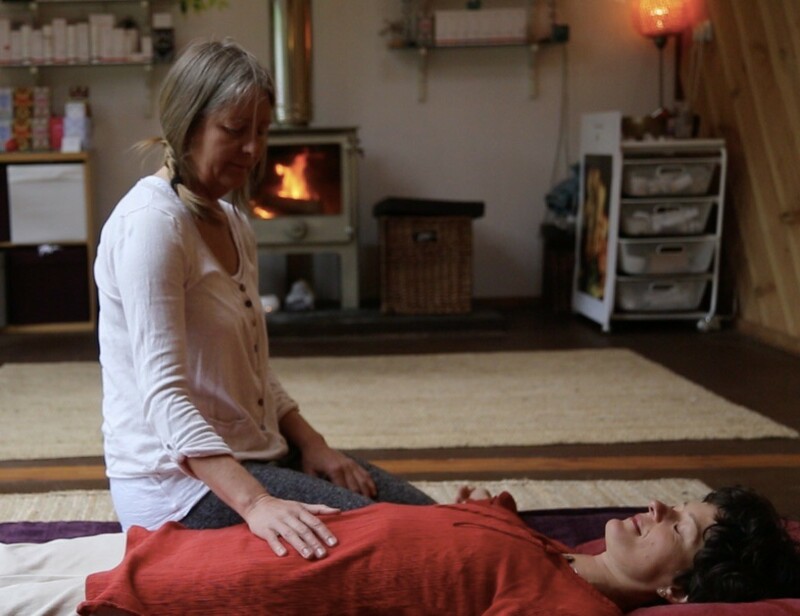 Shiatsu is a deeply relaxing experience and regular treatments can help with a wide range of conditions helping to alleviate stress and illness and helping you to be the best you can be! Shiatsu can be a powerful tool for personal transformation it can be used as the basis and support of deep life change. Through recieving treatments shiatsu can help bring awareness to our bodies holding patterns and postures and how we relate to life. We can then begin to know, understand and address our own needs emnpowering us to take charge of our health and instinctively create healthier habits. Treatments vary between individuals depending on the person’s unique energetic balance and needs. Some sessions may be very physical and invigorating while others may be tranquil and deeply relaxing. 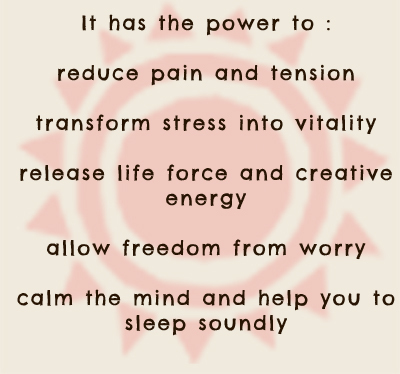 After a shiatsu treatment you may feel calm, balanced, relaxed and energised ready to face the world. Shiatsu is applied through clothes on a futon mat on the floor. It is best to wear loose warm clothing and comfotable trousers. Sessions normally last for an hour. It is important to avoid eating a heavy meal before the session and is a good idea to avoid strenuous or stressful activities immediately after. Shiatsu has a cumulative effect so a short course of treatments, spaced out according to your needs, offers the maximum benefit. Treatments courses are tailored to your individual needs and can vary in number and frequency. Sessions cost £45 and last for an hour with time for a 15min consultation.